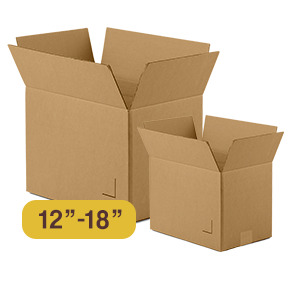 Specailly designed box to beat the FBA requirement of 18x14x8. Each box measures internally at 17.5x13.5x7.5 allowing max packing abilities to still stay under the 18x14x8 size. Ships flat for freight and storage savings. A freight icon beside an item indicates that due to the items size and weight it will either ship by truck or via UPS with additional charges. The shipping rate cannot be calculated automatically. Calculating the freight charges after your purchase enables us to get you the best possible shipping options and rates. Complete your purchase with NO obligation to buy. Once we receive your order, we will provide a shipping quote and you will have a chance to confirm or cancel your order. If you cancel the order, you WILL NOT be charged. Your order will simply be on hold until we receive your approval of the shipping costs.